This nugget is incredible! It's not very often that you see an Australian Gold Nugget this big. And to see one so drop dead gorgeous and with so much character is rare and amazing. The nugget is HUGE, as you can tell by the weight, but it is also relatively thin in relation to it's size and therefore it has a much larger surface area than you would expect. 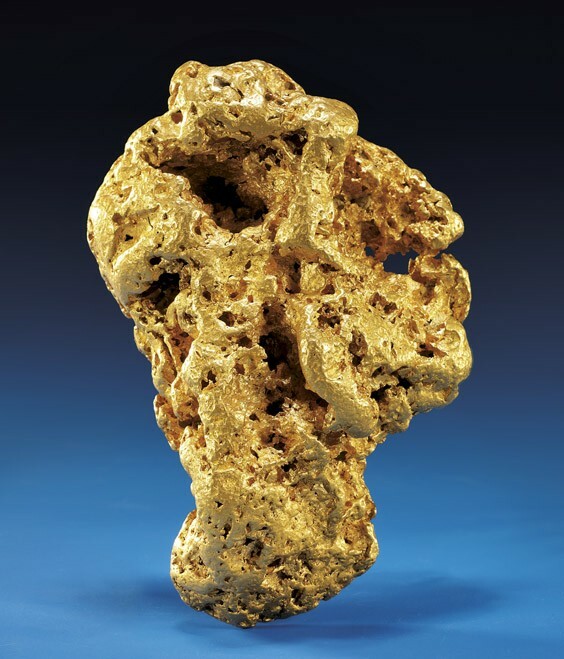 A large surface area is a very desirable quality in an investment grade gold nugget. 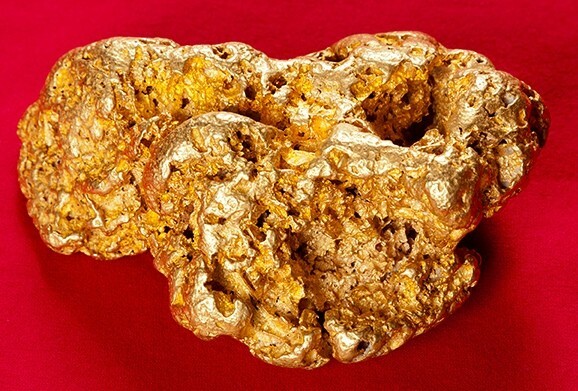 This extraordinary gold nugget comes from Paraburdoo in North Western Australia. It weighs 38.38 Troy Ounces (1193.7 Grams). 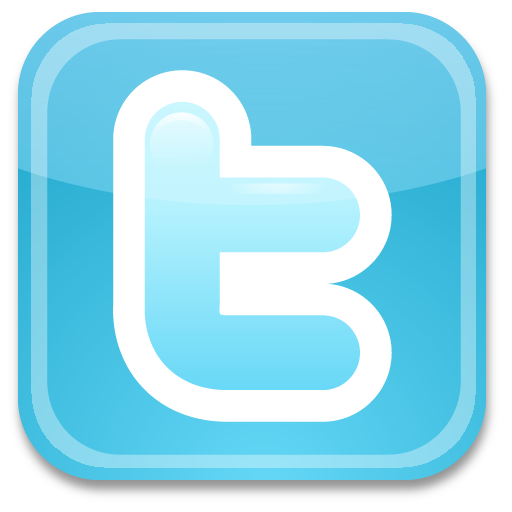 It is 4.5" (11.5 cm) long x 3" (7.8 cm) wide x 1.75" (4.5 cm) thick. This nugget is huge by any measure. The nugget has no visible quartz or other host rock or mineralization. The purity of the gold is estimated at 92% to 98% pure gold. 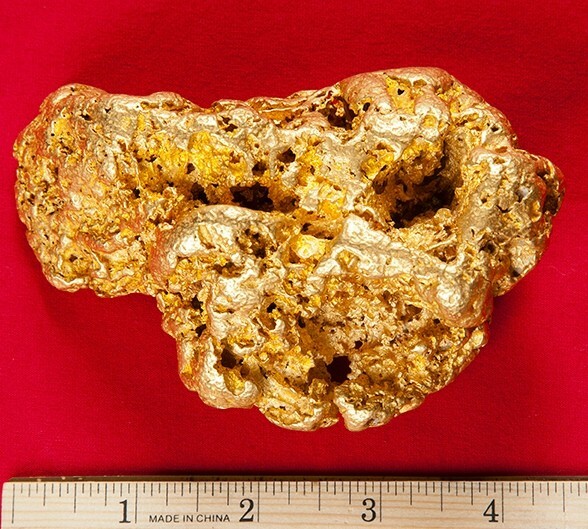 There are less than 500 gold nuggets weighing over 35 ounces in the world, which means this is a very rare gold nugget indeed. Any museum in the world would be delighted and lucky to have a gold nugget like this one on display. 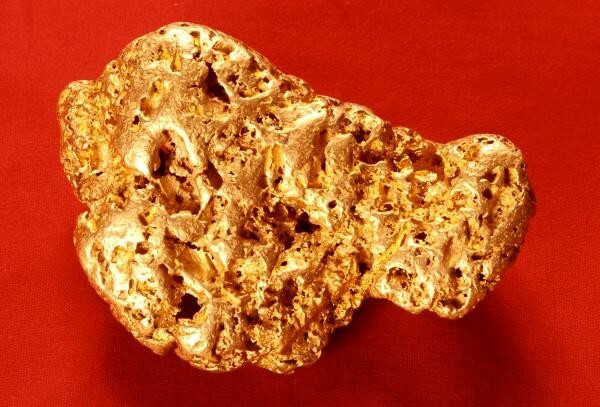 This is a rare opportunity for you to add an exceptionally rare gold nugget to your collection. 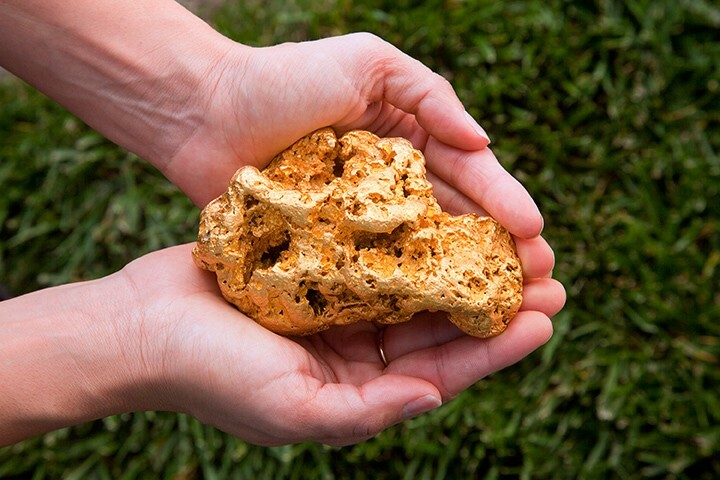 This gold nugget would be the focal point of any gold nugget collection. Also with rising gold prices and the extreme rarity of this nugget, it makes a great investment. If you would like to purchase this nugget you can do so by going through checkout and choosing the payment method: "Cashier's Check/Money Order/Bank Wire Transfer". 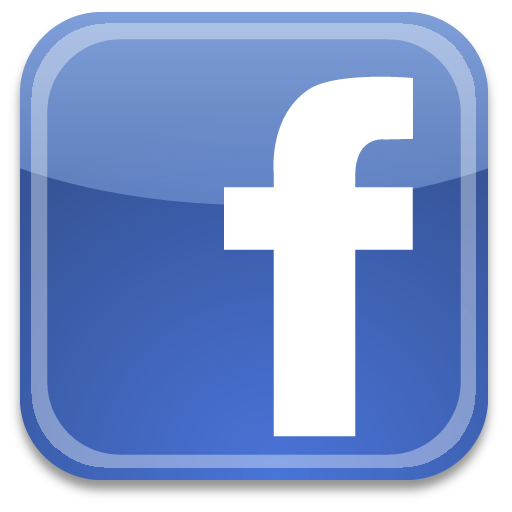 For your protection and security, once we have discussed and agreed on the terms, we will use an Escrow company to handle the transaction, so you will make your payment directly to the Escrow company and they will hold your funds until you have personally inspected the nugget to verify that it is exactly as described. Only then will your funds be released to the owner.